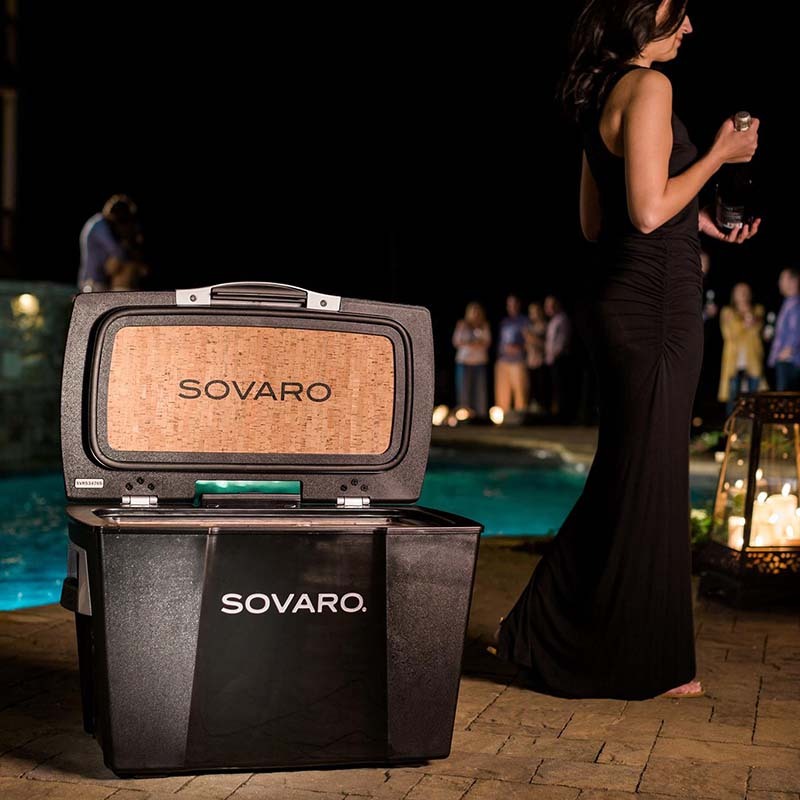 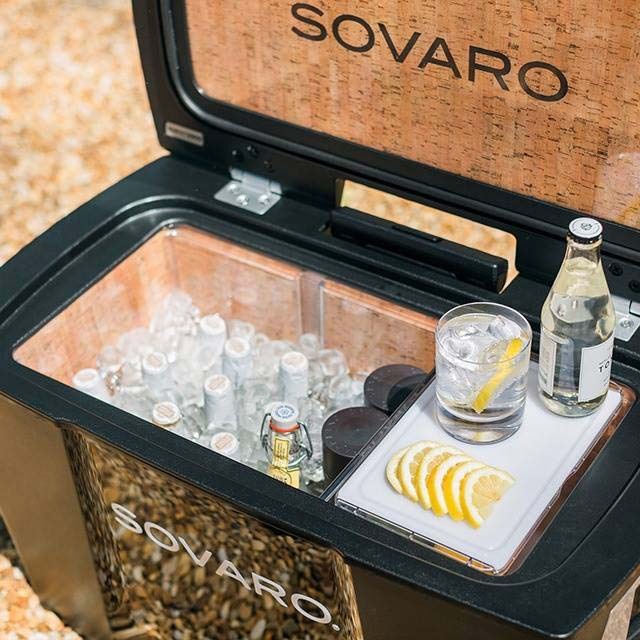 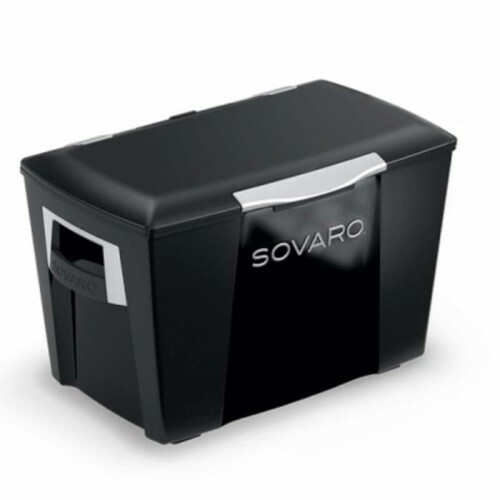 Entertain in style with this hard-sided cooler by SOVARO. 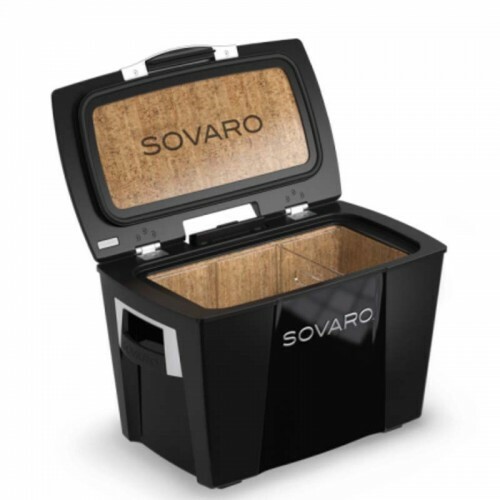 This beautifully crafted cooler features cork insulation that doesn’t attract mold or mildew and won’t break down over time. It has a scratch resistant transparent liner that’s easy to clean and provides a protective shell to preserve the natural beauty of the cork. The telescoping travel handle and heavy duty, luggage-style wheels provide unmatched mobility. 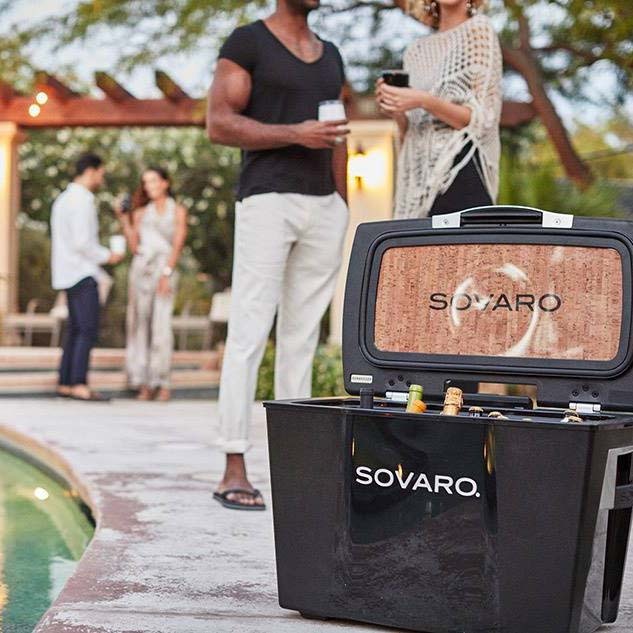 Included is a gift with purchase: a prep tray that’s the perfect place to store fruit and garnishes, with a lid that doubles as a cutting board and mixing station.Enter Promo Code: SOVARO100 to receive $100.00 off. Shipping is free and although total at checkout reflects a shipping charge, final amount charged at the back end will be less shipping. 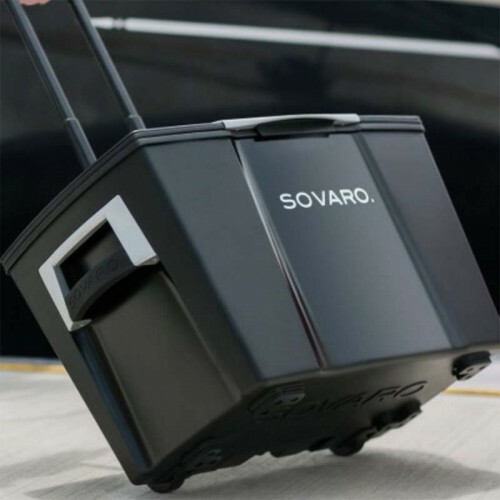 Call 201-250-8110 with any questions.